The radiographs show two osteolytic lesions in the proximal femoral shaft and subtrochanteric region, which was a precipitating factor of the subtrochanteric fracture. 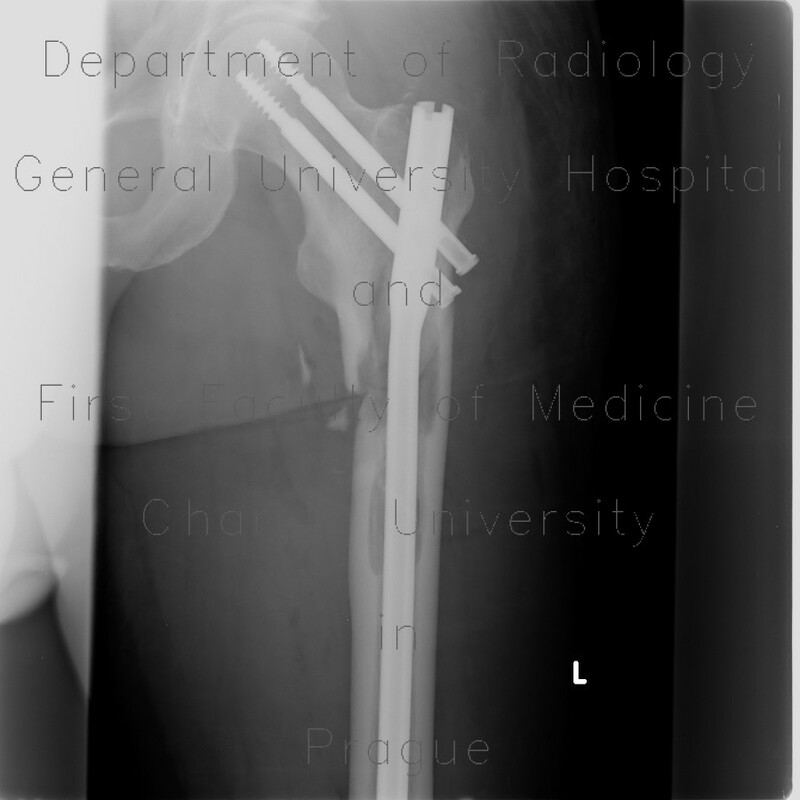 The fracture was treated with a femoral nail. CT and PET-CT showed several other locations of increased metabolic activity and hypodense osteolytic lesions.